Part of American Leather’s Style in Motion® collection, the Hudson features a smooth, powered recline mechanism that allows independent operation of the foot and back rest. 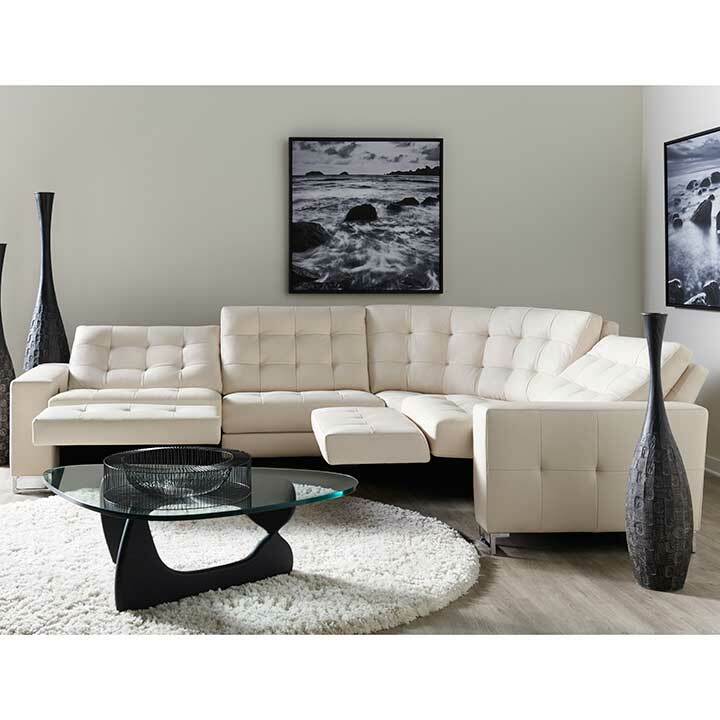 The Hudson reclining sectional can be configured in numerous ways, with chaises, round corner wedges and L-shaped options. Power control panel is LED backlit and includes USB charger. Requires only 5″ clearance for full recline.